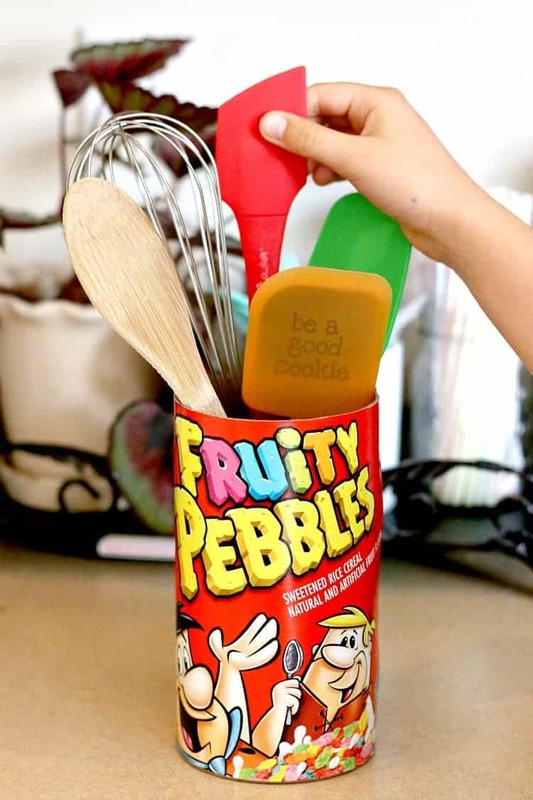 Learn how to turn your favorite cereal box it into a fun and functional kitchen utensil holder with this DIY Fruity Pebbles Utensil Holder Craft. 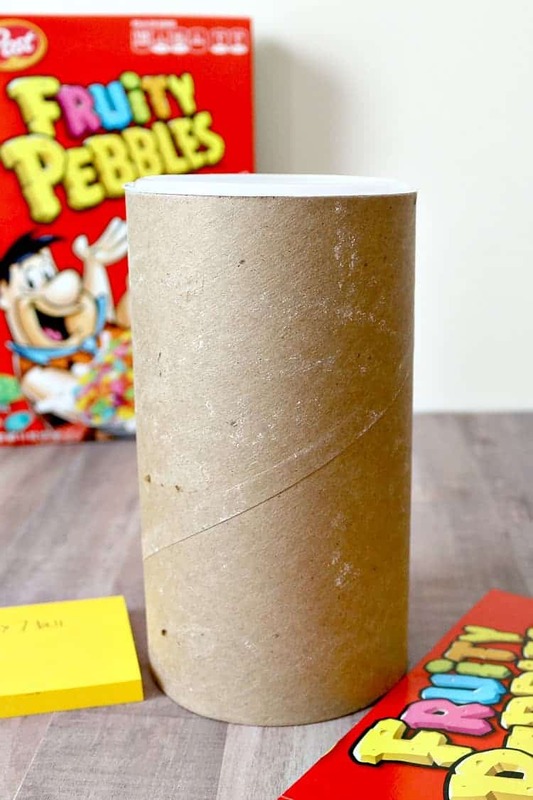 A fun and simple DIY cereal box craft to do with your kids! 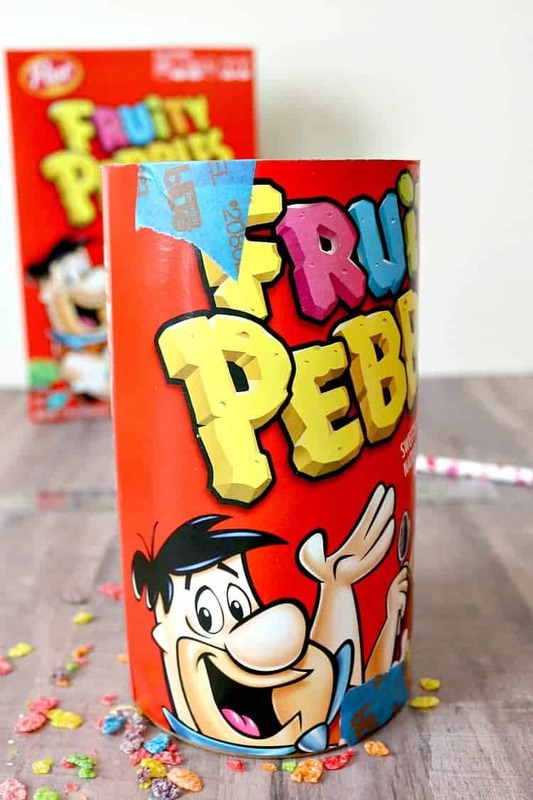 There are so many fun things you can make with cereal boxes and in our house we love to upcycle and get creative while doing it! 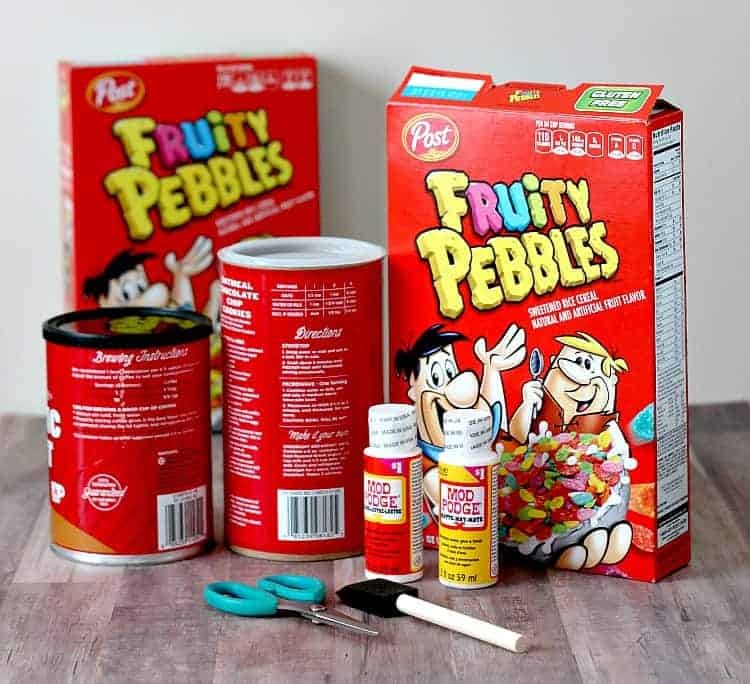 That’s why we adore this DIY cereal box craft! 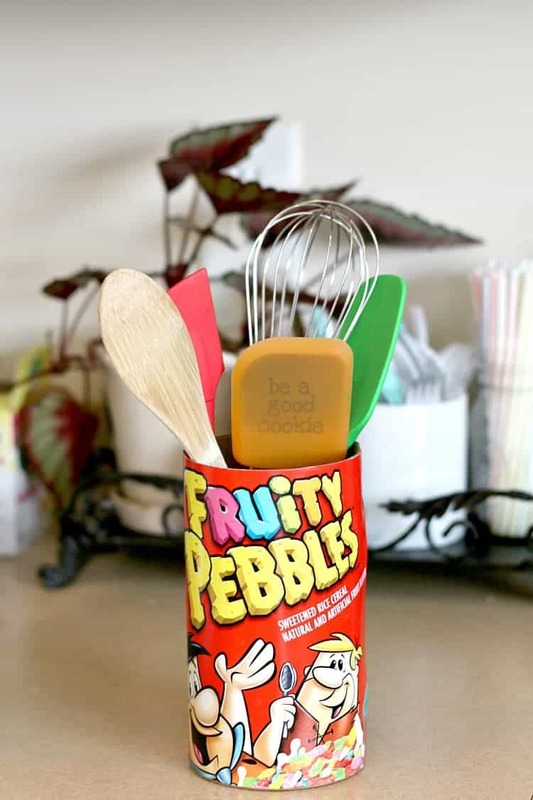 This Fruity Pebbles DIY Utensil Holder is not only a fun project to make with the kids, but will brighten up your kitchen counters in a fun and whimsical way! We’ve been doing A LOT of baking in our kitchen lately. 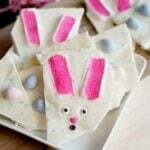 My kids have been pretty obsessed with creating yummy treats for anyone who is interested in giving them a try! A couple of weeks ago we made a trip to the store to buy them a few of their very own kitchen utensils to use when they’re baking. There are so many fun, bright colors available these days; it’s actually hard to choose. My kids have been storing all of their new spatulas, spoons and whisks in with my kitchen utensils, but they wanted to have their own special spot to store them all together. And that’s when we decided to see what we had at home and get crafting! We keep a large plastic tote in the garage full of recyclables like oatmeal containers, paper towel tubes, egg cartons, cereal boxes, etc. These things can really come in handy on a rainy day not matter the age of your kids. Step 1: To get started, break the cereal box down until it is nice and flat. Step 2: Trim off the winged edges until you are left with a rectangle. Then sit it aside. 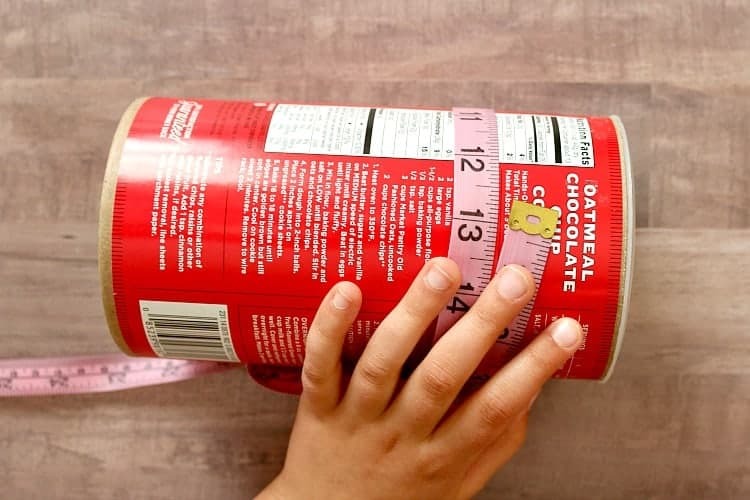 Step 3: Grab a flexible tape measure and measure the circumference and the height of the oatmeal container. Be sure to write down your measurements so you don’t forget. Step 4: Next, you are going to want to get an idea of what area of the cereal box you want to be most visible on your utensil holder. Step 5: Once you know what area you want, trim off the part of the box that will be at the top of your utensil holder. Step 6: Now, get your measurements. 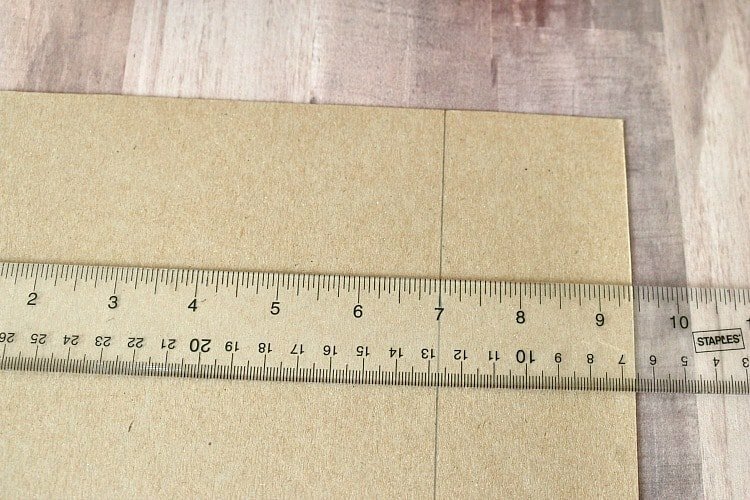 Flip the cereal box over and measure out, mark and cut the height of your container. Repeat the same steps for the width. 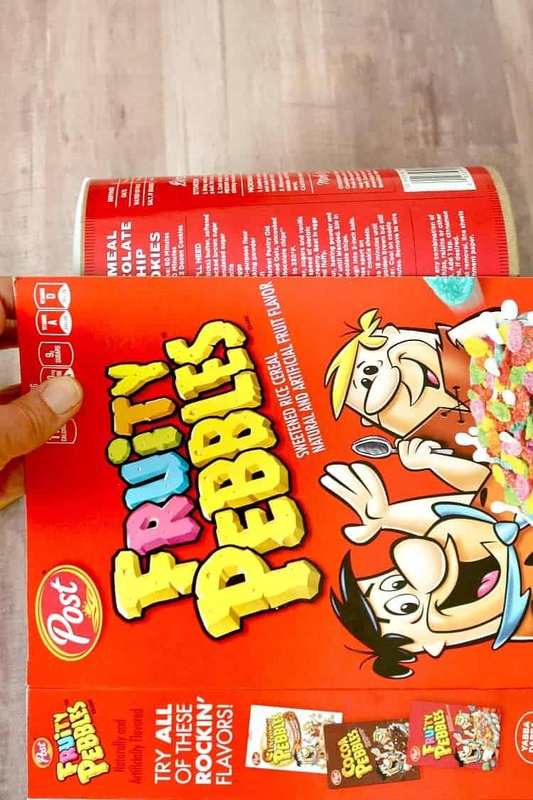 Step 7: Next, peel off the paper label of your container if possible; it will help the Fruity Pebbles cereal box stick to the oatmeal container. 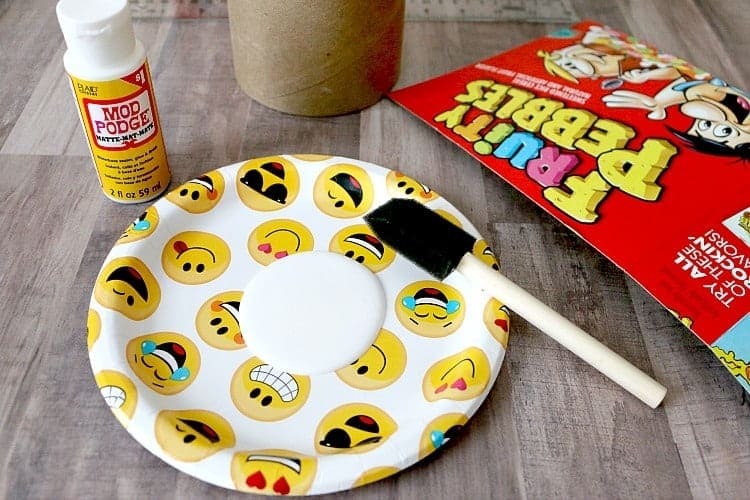 Step 8: Pour some glue onto a paper plate, and using a foam brush, apply a nice coat of Mod Podge all around the container. 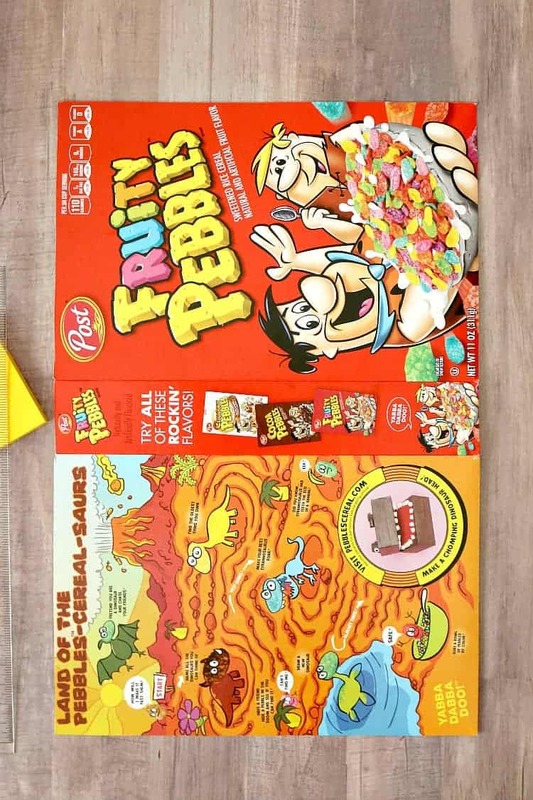 Step 9: Repeat the same process on the back side of the Fruity Pebbles cereal box. Step 10: Place the cereal box, print side up, onto the container, and press firmly. Apply pieces of blue painter’s tape along the top and bottom of the container to help hold things in place. 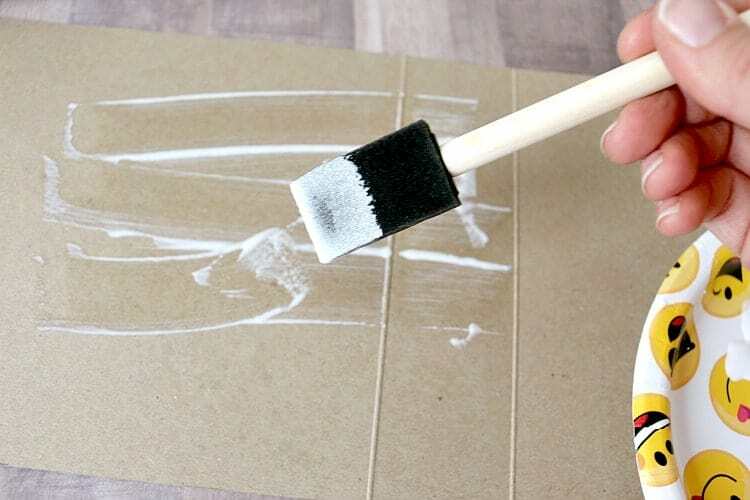 Step 12: Allow to dry for approximately 1-2 hours, and then remove the tape. 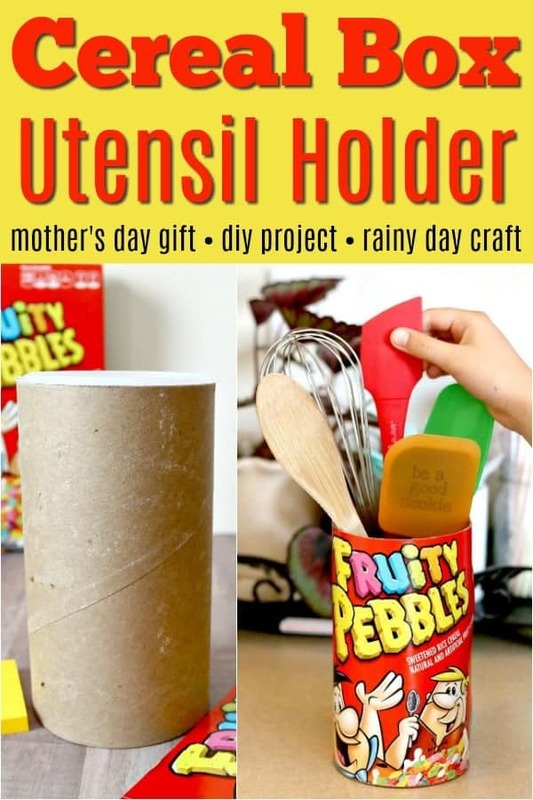 Fill your fun, colorful Fruity Pebbles Utensil Holder with utensils and show it off! My kids are beyond thrilled with how things turned out, and now they’re ready to get baking! 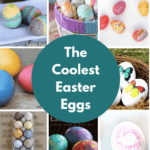 This also makes a wonderful DIY Mother’s Day gift! Your kids would love to make this for grandma and grandma would love to show it off on her kitchen counter! 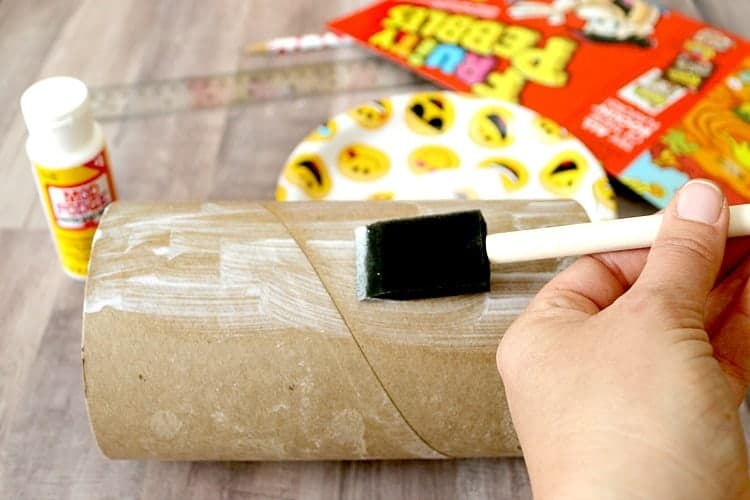 This turned out to be such a fun craft for kids. Think beyond the kitchen…these are great containers to hold pencils on your desk or even a decorative way to house loose craft supplies. 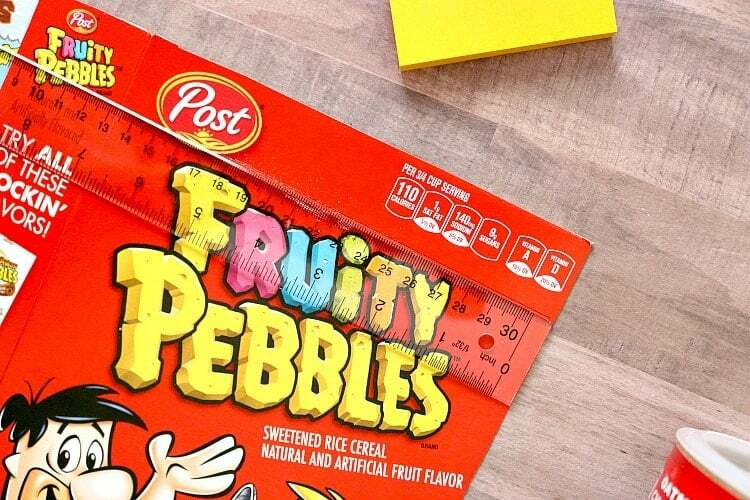 Now go grab that Fruity Pebbles box and get crafting! 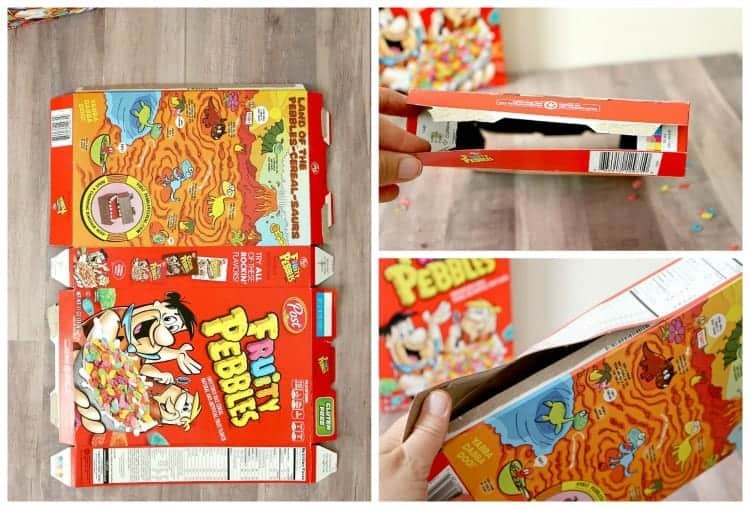 It’s amazing the great things you can DIY with a cereal box!